We are the experts in building performance computer aided simulation. 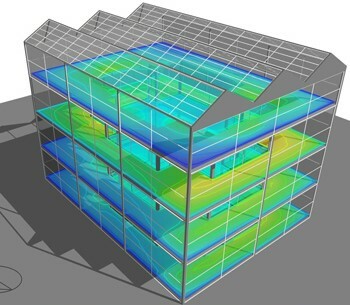 Computer based building simulation software has been used for the last 20 year with increased accuracy and importance in the construction process. The practice proved to aid in the design, operation, or management decision making process to estimate the building’s lifetime performance in terms of its energy, cost and comfort and therefore, minimising post-occupancy problems such as sick building syndrome, thermal discomfort, high electricity usage and environmental impacts. We offer services for the building construction to optimise its energy performance, thermal comfort, lighting comfort and efficiency during the design stage. 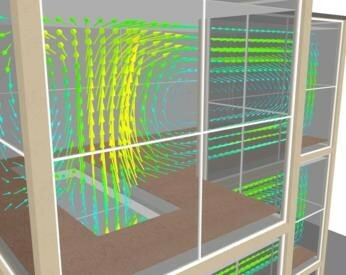 Based on the architect’s design, we run a building performance simulation then provide the estimated energy, daylighting, lighting, thermal comfort, computational fluid dynamic (to scan and analyse the air flow within the building) and onsite renewable energy generation performance. Further to this service, the developer and architect can proceed to the building design optimisation consultation services (please see GREEN BUILDING DESIGN & GBI FACILITATOR Section) to improve the building’s performance. We use Sketchup, OpenStudio and DesignBuilder simulation software powered by the EnergyPlus simulation engine to generate the building performance. 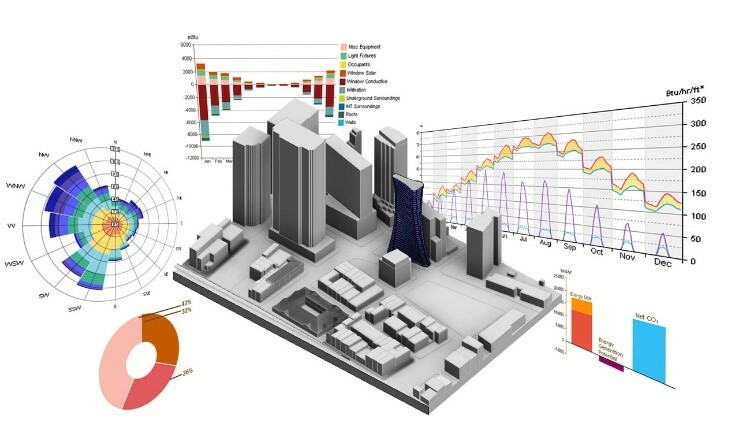 The EnergyPlus simulation engine (from the US Department of Energy) has been used extensively for building modelling in previous scientific research. It provides an intuitive interface and high-resolution data output on energy consumption, carbon emissions, occupant comfort and daylight availability with proven high accuracy. Sub-hourly, hourly, daily, monthly and yearly simulation based on average 5 years’ weather data at the project’s location. Energy consumption broken down into fuel type (electricity, gas, renewable energy) the end-use (lighting, air-conditioning and equipment). Climate-based daylighting assessment with Spatial Daylight Autonomy (SDA), Annual Sun Exposure (ASE) and UDI outputs generated via the Daysim simulation engine. Daylight performance evaluation based on the lux and daylight factor. Internal air, mean radiant and operative temperatures and humidity calculated. Comfort output including underheating and overheating hours distribution curves, ASHRAE 55 comfort criteria (unmet loads), Fanger PMV, Pierce PMV ET, Pierce PMV SET, Pierce Discomfort Index (DISC), Pierce Thermal Sens. Index (TSENS), Kansas Uni TSV. Provide detailed temperature, comfort and airflow data within buildings, taking into account surface temperatures, internal heat sources and HVAC systems. Analyse outdoor wind flow for pedestrian comfort and safety. Investigate the impact of natural and mixed mode ventilation strategies on internal comfort conditions. Suitable for use in all buildings, but frequently used for offices and schools to check thermal comfort and fresh air delivery. Design of hot/cold isle server centre layouts and specification. Optimise supply grille placement and specification. Providing Age of Air (LMA) and Air Change Effectiveness (ACE) for use in standards such as ASHRAE 62.1 and Green Star. Generate electricity generation from PV system and wind generator using actual weather data. This simulation will help the building designer to choose the correct battery size for the renewable energy system and estimate the percentage of electricity reduction when using the PV system. Generate thermal energy collected from solar collector using actual weather data. 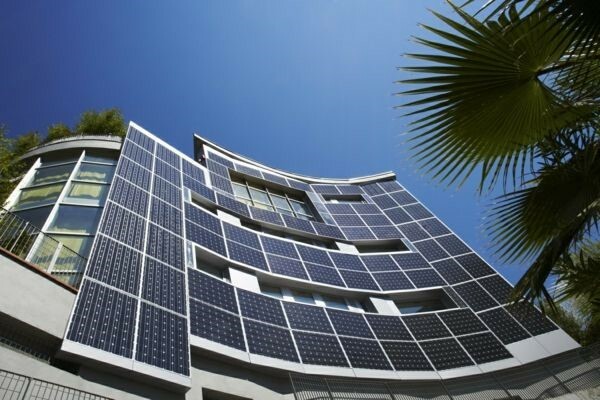 Generate daylight impact when using building integrated PV on the building’s façade. The data will give the building’s designer clear information of the electricity generation, reduction in daylight received and any increase in lighting energy consumption in the case of a building that uses automatic daylight dimmer.